The cooking process of the beef is crucial in order to not spoil the beef with improper cooking. 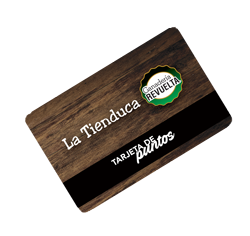 The beef produced by GANADERIA REVUELTA has great taste, texture and tenderness. In order to maximize these traits, we offer some instructions and suggestions on how to cook our excellent beef properly. Storing the beef is important, if the beef is to be consumed in the next 6 hours of purchase, it doesn't need to be refrigerated, the beef can be left alone to reach room temperature. It should be refrigerate if it is to be consumed in the next 3 days, preferably in the coolest area, otherwise it should be frozen in the freezer for up to 6 months. It's important the beef be defrosted slowly, it should be removed from the freezer and put into the refrigerator for at least 12 hours to avoid loss of the beef attributes by defrosting too quickly. The beef must not be cooked directly after leaving the refrigerator, it should be left out of the refrigerator for 20 to 30 minutes to reach room temperature before cooking. Before starting to cook you can season your beef, it is recommended to add sea salt or kosher salt as desired, and freshly ground black pepper. Do not add any kind of tenderizer. You can season both sides of the steak before start cooking, or you can season just one side, and when you start cooking the seasoned side immediatly season the other side. Use charcoal, or mesquite wood to get the grill smoking hot. When cooking a steak it is very important to cook with the highest heat you can generate. High heat cooks faster, and the faster the steak cooks, the tenderer the beef will be. Make sure to have enough resources to cook all your steaks. Remember to reach the highest heat you can generate, we suggest the grill be no farther than 15cm from the heat and never closer than 10 cms, the thicker the steak, the more heat it will need to cook. It's most important to achieve the level of cooking you want. First is to cook the steak for 2 or 3 minutes until it is cooked enough to retain juices. This can achieve this by lowering your grill height or increasing the amount of heat, it all depends on your skills or the grill you are using. Once this goal is met, move the steaks away from the heat. A key aspect of cooking beef is to turn over the steaks when the upper part of the steak starts juicing up. Once this moment arrives, flip the steaks and then the same signal will let you know when it's time to remove the steaks from the grill. This has been the traditional way of cooking steaks, however, in Mexico and the USA there's another alternative. This is to keep turning over the steaks for about 3 or 6 minutes after having cooked both sides until reaching the desired cooked level. The most important advice we can give you for not spoiling everything is this : DO NOT GET DISTRACTED! Remove the steaks from the grill and let them to rest for about 3 minutes before eating or serving.. Enjoy a good Beef!... and bon appetit!